Serenity Hospice & Palliative Care Needs You - Veteran Volunteers Needed!! 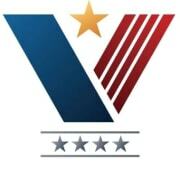 Serenity Hospice is a proud member of the NHPCO's "We Honor Veterans" program. We are currently seeking veterans or active duty military members who wish to make a difference with some of our veteran patients and their families. Our patients are located Valley wide, so volunteers in the entire area are welcome! There are many different Veteran Volunteer opportunities available! Some options include; Veteran to Veteran socialization and support, assist with Veteran pinning ceremonies, community support, and so much more!! Your commitment is completely up to you, whether you spend one day a week, or one day a month, your time is always appreciated. For more information, please contact Kathy Coffman in Volunteer Services at 602-216-2273.